This firm, in existence from 1961-1976, completed dozens of Jewish centers across New York City and Long Island, as well as schools, commercial buildings, animal hospitals, and apartment buildings. 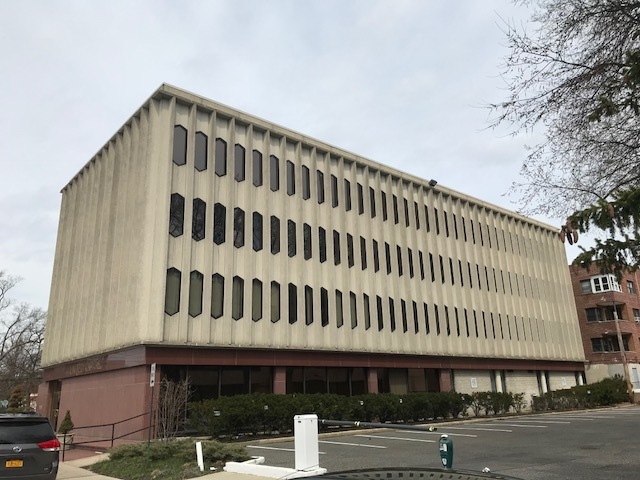 A well maintained archive of Stanley Rosenberg at New York Historical Society allows an examination of one of these smaller, regional firms who helped design the public face of mid-century Long Island, but did not reach the upper echelon of New York City’s architectural elite. As with many firms of the era, Jewish-led firms tended to work more frequently outside of Manhattan, especially in the areas that grew substantially after World War II with new waves of Jewish residents. Rosenberg was born in New York City in 1923 and studied at Brooklyn College, followed by Columbia University’s School of Architecture. He received his degree and license in 1952 and apprenticed at a number of firms before landing his first partnership. Not much is known about Rosenberg’s first partnership, Sirof, Rosenberg & Sivertsen, which does not appear in the AIA Directories of the era, despite its substantial output between 1955-1961. Significant projects include the Ardsley Hotel of 1957, claimed to be the first fully fireproof motel in New York State ; the Business Professions Building of 1959, a speculative office building designed and owned by the firm ; and the Eastwood Village development in Centereach, which received a Homes for Better Living Award from the Technical Bulletin of the Producers Council . In 1961, Rosenberg formed a partnership with Alvin Hausman (1923-2005). The firm’s body of work included residences, office buildings, hotels, and dozens of gleaming commercial showrooms for businesses across the city. 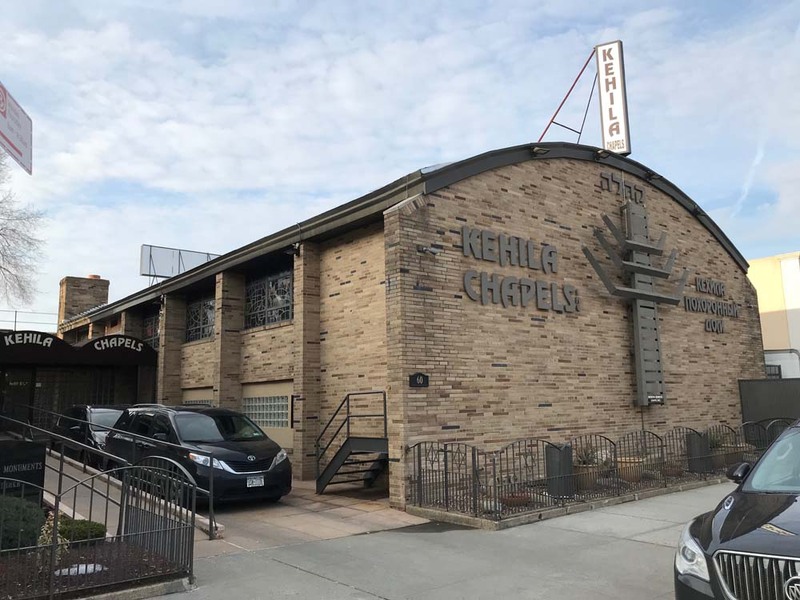 Also existing are at least two dozen modest synagogues and yeshivas for towns like Elmont, Merrick, Ellenville, and Scarsdale, as well as several in Queens and Brooklyn . The modern designs are typically brick faced with exterior Judaica and stained glass. Many of the designs are low buildings with fewer windows, creating a bunker-like appearance. But others show a wider range, such as the proposed Forest Park Jewish Center, with twin two-story octagonal volumes with large expanses of glass. Not all of the designs were built as proposed or at all, possibly due to the costs associated. The firm’s reputation grew regardless, with published articles on school construction and store modernization. In 1966, Yeshiva University’s Community Service Division announced a formal partnership with Hausman & Rosenberg, who were contracted to provide free architectural consultations to congregations affiliated with the University for such needs as school buildings, lobbies, and playgrounds . The two buildings for which the firm won Queens Chamber Building Awards however were not synagogues. Cryder House (1963), a 20-story shoreline apartment tower in Whitestone, is a prominent local landmark towering over its surroundings and when built included a private restaurant, underground parking, a private beach, and mooring for residents’ boats. 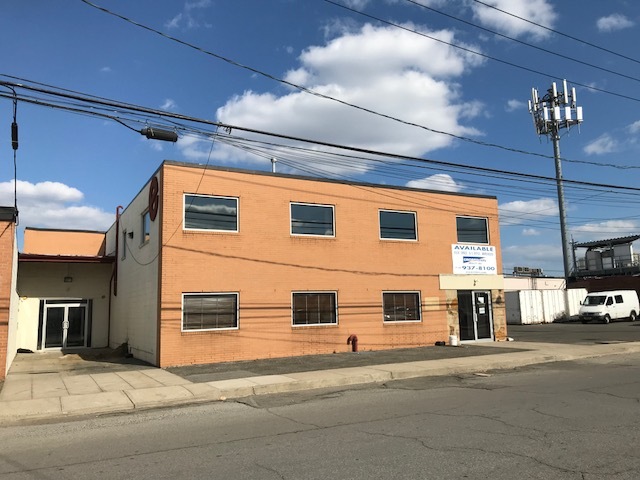 The other, an industrial plant in Laurelton for Vitarine Pharmaceutical Company (1964), is a modest one story facility on an access road just off the Belt Parkway. 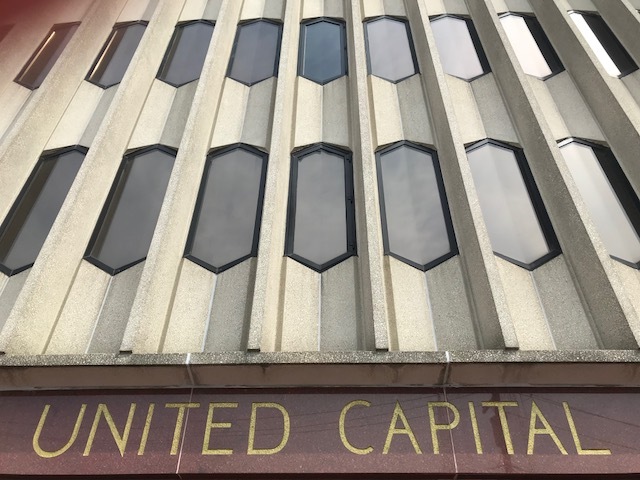 The firm’s most well-known building is likely their Lincoln Square Synagogue, constructed in 1970 as part of the major urban renewal area. 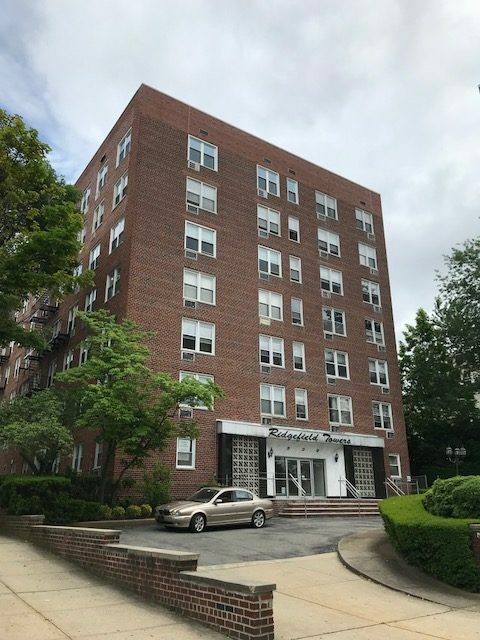 The curved building, clad in white travertine marble, was demolished in 2015.
Review Press and Reporter (Bronxville, NY). 30 May 1957. Fultonhistory.com. Web. “Architects Take Turn As Their Own Builders.” The New York Times. 25 July 1959. Web. Technical Bulletin, The Producer’s Council, Inc. December 1957. Box 4, Folders 95-97. The Stanley R. Rosenberg Architectural Records 1952-1985, New-York Historical Society.